Samsung’s poorly reviewed smartwatch, the Galaxy Gear, became slightly more appealing this morning with an announcement that it would soon be compatible with 8 new devices. As you may be aware, the Galaxy Gear currently only works with the Galaxy Note 3, something we knocked it for in our review. How good is a smartwatch if it only works with a single smartphone? But times are-a-changing, and the Gear will soon work with the Galaxy S4, Galaxy S3 and Galaxy Note 2 to start once each phone receives an Android 4.3 update over the coming weeks. Outside of those popular devices, Samsung has also said that compatibility will be delivered to the Galaxy S4 Mini, S4 Active, Mega 5.8, Mega 6.3, and S4 Zoom through a separate software update beginning at the end of October. The timing of each update depends on carriers and countries. So even though 4.3 started rolling out to the Galaxy S4 in Germany this month, it could be a while before we see this on U.S. variants. Does compatibility with more devices make the Gear any more appealing to you? Seoul, Korea – Oct 23, 2013 – Samsung Electronics Co. Ltd. today announced that more Samsung devices will be compatible with Galaxy Gear, a perfect companion device that makes mobile communication easier and more enjoyable. With a 1.9 Megapixel camera, users can snap a visual memo by simply tapping Galaxy Gear’s screen. Photos are then easily and automatically saved in the master device’s gallery. 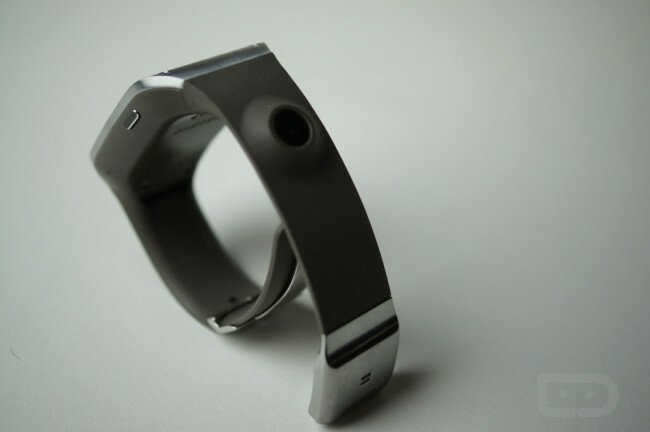 Users can enjoy a built-in Pedometer app and use Galaxy Gear to control the music played on their master devices. Of course the device also functions like a watch, with the option to change the face with 10 different clock options and even more options available via Samsung Apps. Android 4.3 (Jelly Bean) ＊＊Update schedule and features may differ by country and carrier.